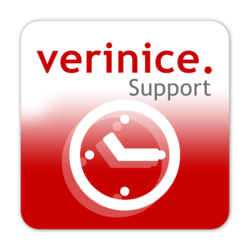 The verinice.TEAM has identified and fixed a problem in the recently released verinice.PRO 1.17: When sending mails for unfinished tasks a lot of reminder mails were sent within a short time instead of only every 7. Affected are only verinice servers. A new version verinice.PRO 1.17.1 with corresponding solution has already been released and is available in the .PRO repository. verinice development manager Daniel Murygin: "We were able to react quickly and publish a hotfix. Our support, to whom the behavior was reported, and the development team worked closely and efficiently together". Since the bug only affects verinice servers, there is no new client version or updates for the clients (verinice single-user version). The verinice.TEAM of SerNet will be accompanied by Cassini, neam, SILA Consulting and TÜV TRUST IT. They are all part of the verinice.PARTNER network and are happy to pass on their expertise on site. Together, SerNet and the partners will present verinice and provide insights into verinice 1.17, which will be published soon after it-sa. In addition, the partners will present their own services such as the establishment of a management system for information security, consulting for e.g. BSI IT Baseline Protection, ISO 27001 and ISIS12, audits, or support on the way to certification. c.a.p.e IT GmbH will present the integration between verinice.PRO and KIX Professional. uib will also be there, presenting opsi – the Open Source Client Management System. SerNet has released the open source ISMS tool verinice in version 1.16. With this release, the team focuses on data protection and especially the GDPR. The combination of verinice and the Data Protection Module now makes it possible to comfortably document processing activities and to implement contracted data processing in compliance with EU law. The Data Protection Module supports the documentation of contracted data processing, contracting parties and services in accordance with Article 28 GDPR. Corresponding contracts can be integrated directly. Data protection expert Sirin Torun, who designed the Data Protection module, also draws attention to the ADV controls that she developed herself: "They form a catalogue of measures that supports the verification and documentation of order processing. The ADV controls can also be used for initial or follow-up audits." For the list of processing activities according to the GDPR, the Data Protection Module provides an example catalogue with samples of procedures including exemplary solutions for typical data protection problems - easily adaptable to the respective company, enterprise and authorities and can be extended as required. 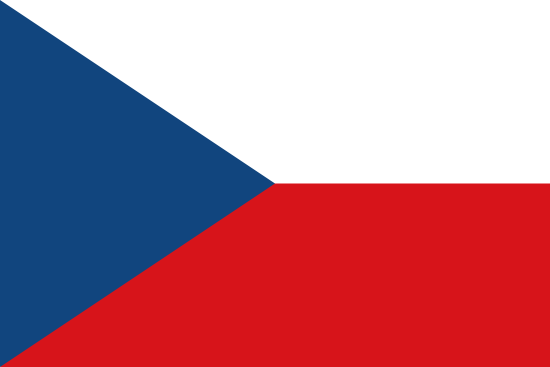 Torun emphasizes: "A special feature is that the technical and organizational measures (TOMs) can be selected from the ISO 27001 controls or the German BSI IT Baseline Protection measures and are assigned to the data protection objectives of Article 32 GDPR". This enables users to find their way quickly and work efficiently. The resulting interface between data protection and information security management means a considerable value for users. Especially if the ISMS is documented with verinice, costs can be reduced and the documentation effort can be reduced. All data from the Data Protection Module can also be aggregated in reports. A total of 12 reports summarize the necessary information on a special area or on an overview topic. The Data Protection Module is currently only available in German. Also it requires a verinice subscription. SerNet is planning further updates for the data protection module in the near future. The next topics on the roadmap are data protection risk management and risk analysis as well as data protection impact assessment. Users of the current data protection module should have access to these new features. verinice 1.16 also has some innovations to show for the implementation of the new BSI IT Baseline Protection. The Baseline Protection Compendium has been revised, an implementation status for requirements and measures has been added, an identifier marks links clearer and new object types represent the diverse documentation tasks of the modernized IT Baseline Protection. As well as the Data Protection Module, the new IT Baseline Protection is only available in German. Details about verinice 1.16 can be found in the release notes and about the Data Protection Module on the product page in the verinice.SHOP (German only) – interested parties can also participate in one of our webinars and get a first impression.